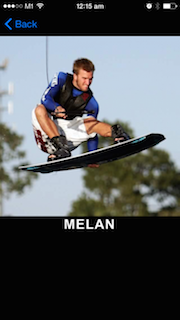 Riding Tips of over 120 different wakeboarding, wakeskating and wakesurfing tricks complete with photo sequences and video clips. 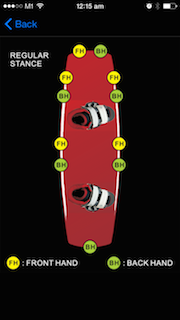 The most comprehensive wakeboard & wakeskate Tricktionary available with more than 170 terms & tricks defined. 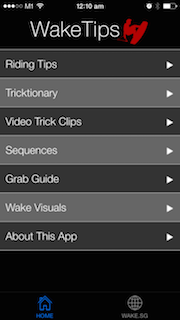 A video library of over 200 slow-motion video trick clips for offline viewing. An interactive Grab Guide that shows you the names & images of different grabs. 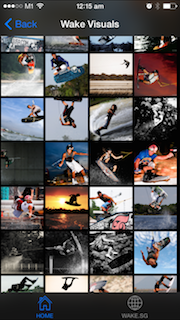 A collection of wakeboard & wakeskate photography visuals. No In-App purchases required! Everything is included for less than the price of a can of Red Bull! More than 160 brand new slow-motion video trick clips are now included for offline viewing. 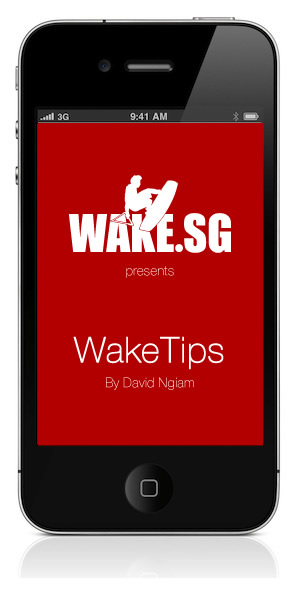 A new Wakeskate and Wake Surf riding tips section. Added a new Pro Tweets section. 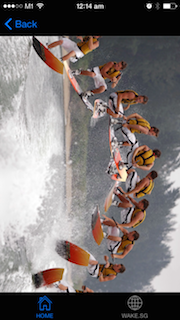 Follow over 50 Wakeboard & Wakeskate Pros on Twitter right from the app! 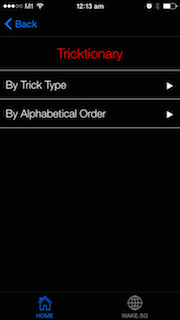 Added links on tips pages to jump direct to sequences and videos. Added category titles to Sequences section. 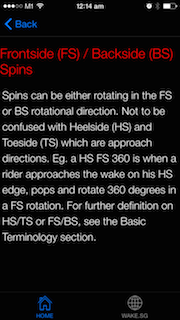 Added YouTube trick videos to the Riding Tips section. Most of them in slow motion. Added riders names to the Sequences menu. Many thanks to all those that have contributed to the app in one way or another, especially those who have contributed to the riding tips or appeared in the photos & videos. There's so many of you out there that made this project possible. 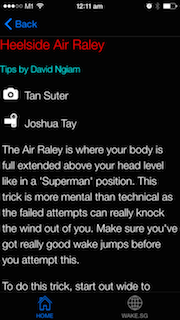 I only hope that this app will help in the promotion of the sport and allow you to get stoked even when you are off the water!